When you order custom printed bags from Dunwoody Booth Packaging, we help you create the bag that you imagine! A hot stamped bag leaves a lasting impression on anyone who sees it! 1. 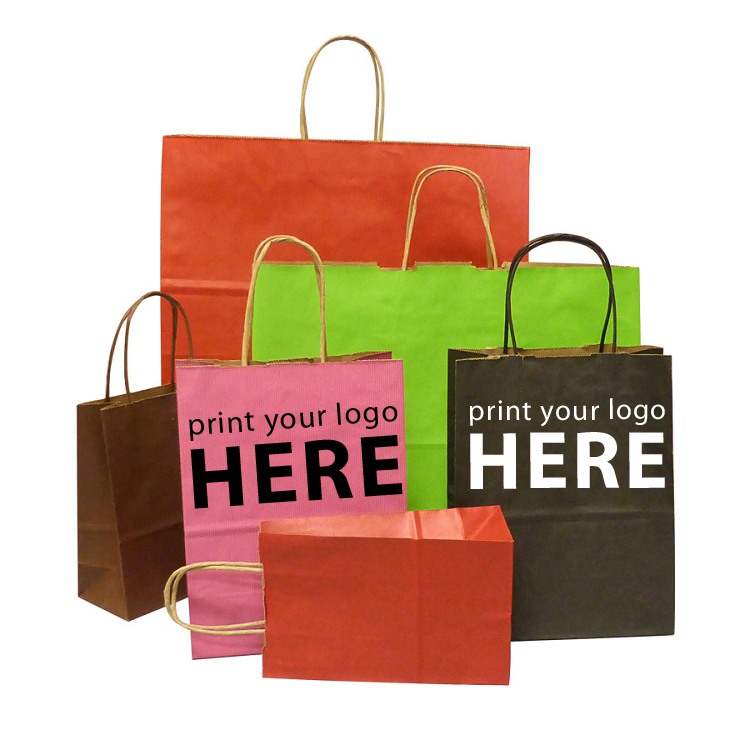 Find which coloured paper shopping bag you would like to print on here. Printing: print 500 bags, add $0.25. Print 1000 bags, add $0.22. Print 2000 bags, add $0.20. This covers you for or a one-colour, one-side hot stamped logo. Sizes can be combined for custom printed orders. Setup: A $25.00 setup charges applies on your first order and each time you place a reorder. Printing Plate: We have to convert your logo to a printing plate. This is a one time charge that applies the first time you order hot-stampted shopping bags, and will be quoted to you once we see your logo. $100.00 is a common charge for a one colour one side hot stamped bag printing plate. 4. 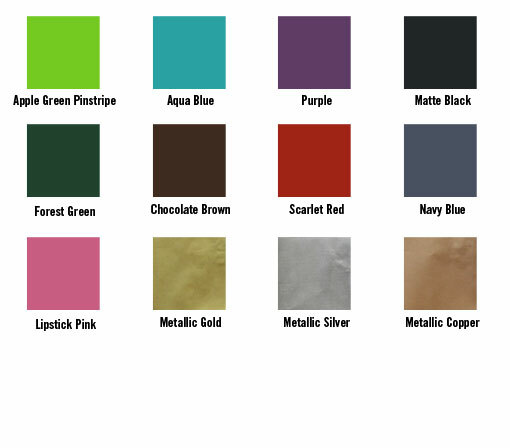 Foil Options: The foil imprint colours listed below are not all of our stocked colours. For more information on our stock colours please call 1-800-565-8855. If the stock colours do not meet your requirements, we can always order an exact pantone match for an additional cost. 5. Choose a bag Size: Sizes can be combined for custom printed orders. Minimum order quantity is 500 bags. Prime-Gem Size 5" x 3" x 8"
Petite-Tempo Size 8" x 4" x 10"
Fashion-Tote Size 16" x 6" x 12"
Please email logo/graphics to sales@dunwoodybooth.com. For all questions, concerns or requests regarding custom printed orders, please contact sales@dunwoodybooth.com or call 1-800-585-8855.